Black Cat Witches Spellbook Book of Shadows, Journal, Diary with Matching Pen! Fortune Teller Cat Book of Shadows Journal! The Witching Hour Black Cat Book of Shadows! Details about Celtic Moon Black Cat Book of Shadows, Journal! 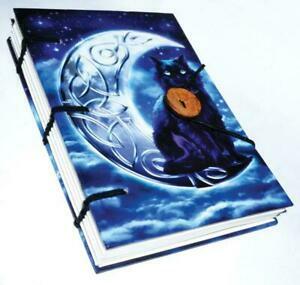 Celtic Moon Black Cat Book of Shadows, Journal! Free shipping on all eligible items from catsmagick.